LIMITED CAPACITY EVENT - WILL SELL OUT! Same price applies for all guests, adults and children over the age of three. Tickets cannot be exchanged or refunded, nor can they be linked to any discounts or special offers. For safety reasons, we also reserve the right to visually inspect or use security scanning equipment on your clothing, coats and personal belongings before entry and/ or inside the Parks especially for guests wearing multi layered costumes that cover the entire body. Guests who would like to wear a Disney Character costume commit to refrain from posing for photos and from signing autographs. 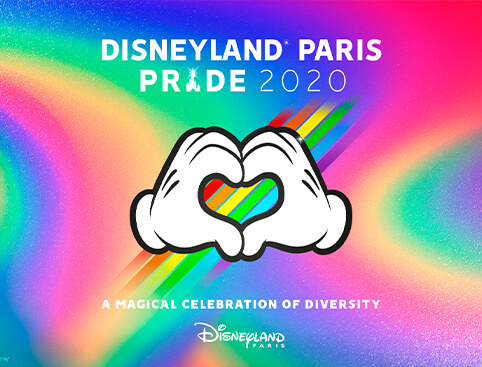 Live your best life, and shine with the joy of diversity at Magical Pride, a dazzling party lighting up Disneyland® Paris for one night only. 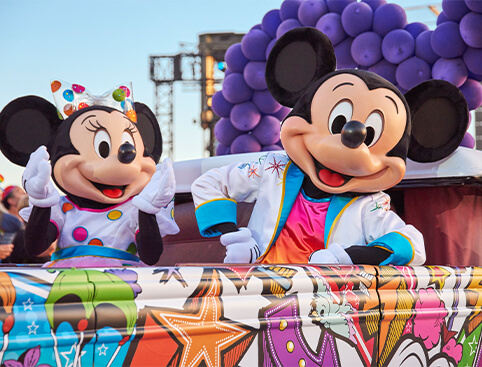 Dress like a dream, feel fabulous and experience Walt Disney Studios® Park like never before- loud, proud, and alive with all the colours of the rainbow. 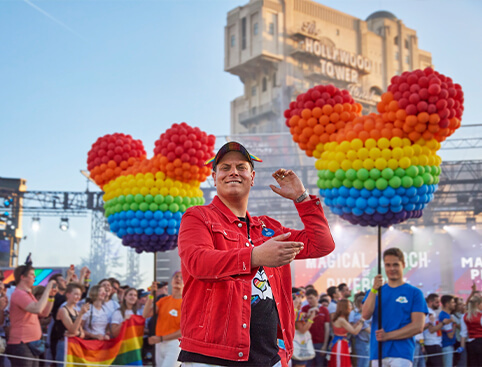 Here’s a sneak peek at some of the incredible experiences that are lined up ready to make Magical Pride a truly unforgettable experience. *Headliners subject to change. Magical Pride requires specific tickets to attend.